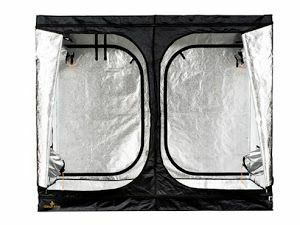 The Secret Jardin DR240w Dark Room 2.5 is a larger scale tent for multiple light systems (240cm x 120cm x 200cm). The DR240w is designed for use with 2x600w lighting systems. 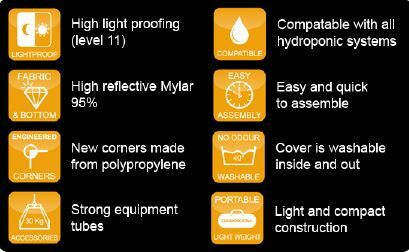 The DR240w tent would require a 150mm/6inch extraction system or bigger. Acoustic Rhino Pro Filter kit 8"